Hello Dear Readers, and I know there’s a long time without posting anything here in the planet, but I was quite busy moving around. so, without further ado, let’s start the review of this amazing trip. 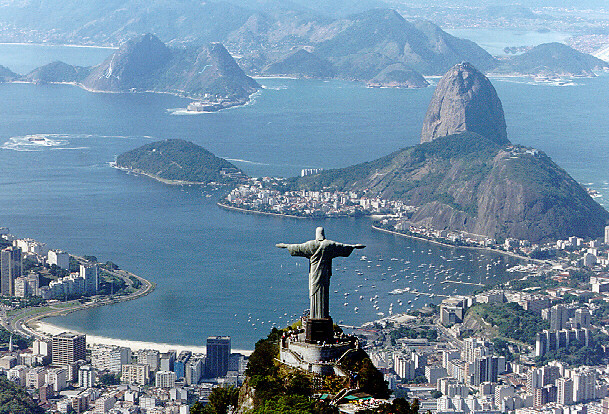 I Came to Rio de Janeiro 3 weeks ago, because Petrobras got in contact with Lamarque about a Qt course in here in Rio, since Lamarque was busy at the time, he delegated the course to me. The flight was confortable, just one hour flying from são paulo, but then things started to get messy. somebody stole my backpack in the airplane cabin, I talked with the cabin crew about it and they allowed everybody to leave, and WTF, my backpack with my laptop and everything inside. the flight arrived at 10pm, and I got out of the airport at 1am, sleeping in a overpriced – hotel near by. In the morning I had to give my first lesson but my Material was on the backpack. What to do? Well, luckly I know C++ well enougth to talk without an paper-reminder of what I need to say. So I came to CENPES, the Centro de Pesquisas da Petrobrás in Ilha do Fundão, the artificial island where the Federal University of Rio de Janeiro main campus is located. 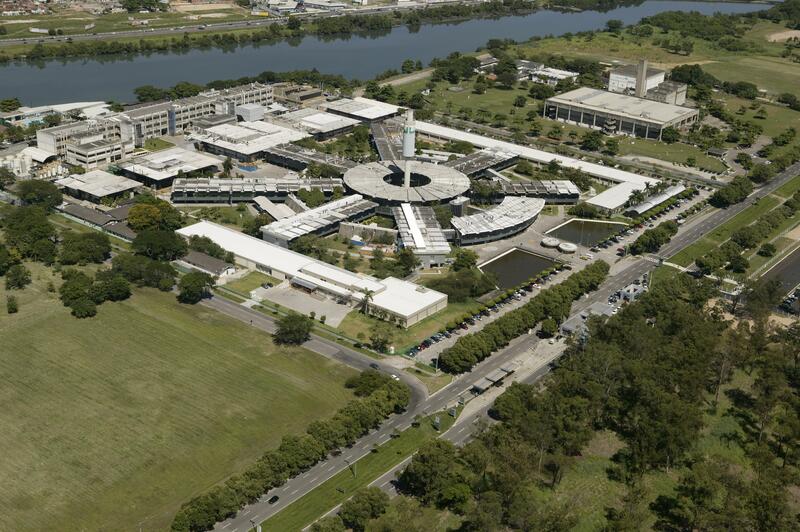 The island was actually three islands that were joined together to build the campus, and has 5.238.337,82m² of total area. this is bigger than some countries. Petrobras is the main Oil Company in brazil, and one of it’s primary research facilities is located in that island, and it was where I went to give a class. I was terrified, I’v never entered in a company so big before and I wanted everything to be perfect, but perfection to perfection, I nearly broke my feet one week before the classes started. take that for perfection. first class I gave sitted in a chair, trying to not hurt my feet more. The first lesson was about Remembering C++ and Advanced C++ with meta-programing with templates. the file with all lessons about c++ is in the resources page, also worried about the feet and the stolen backpack, I went back to the airport, they have located the guy that grabbed my backpack by mistake, because he forgot his on the airplane cabin, but his mother was terrified that he could get lost in a city that he doesn’t know so well, after all, he was too young to walk around and go to the airport to give back my backpack. In the end he was 23, but who am I to say that he was not that young? I phoned them and they told me that they could only give me back my back pack in the next day, then I got pissed off, and almost lost my temper. I said ‘sudo, woman, give me back my backpack.’ if you change ‘sudo’ by ‘if you don’t get me my backpack with everything inside today, I’ll go there with the police’, you will understand everything that happened. and Magically, my backpack appeared with everything just one hour later. I got happy, I got back to my friend’s apartment ( inside a commercial building. ) talked him about that history and went to sleep untill next morning, where the Qt Course was going to start. ( if you want to take a look about the 60h Qt course, it’s on our resource page ). The Course at Petrobras transcourred well, I teached them for two weeks in the main topics of Qt, like QtCore, QtConcurrent, GraphicsView, Widgets, Model View, Scripting, Animation Framework. I Had only 5 students, that were being trained to train the rest, one of those Students was a Professor of a nearby University, and invited me to give a talk about KDE and Qt there, that’s what I’ll be doing today at 19 pm, in the UniverCidade near the Carioca Station, if anybody that reads this wanna go, feel free to. He loved the KDE-Edu initiative, and already moved his students to help the project. the debut of the Univercidade – Edu team should happen this year ( I hope. ). Posted by Sandro Andrade in liveblue-news, qla-sandroandrade. Estamos felizes em anunciar que o KDE mais uma vez participará do GSoC. Este é o nosso 7º ano no programa. Confira também as outras 174 organizações de software livre participantes! Vamos, mais uma vez, fazer deste um excelente verão. Se você é um estudante agora é a hora de começar a trabalhar em sua proposta. Você pode ou sugerir a sua própria idéia ou se inspirar naquelas presentes em nossa página de idéias. Uma vez decidido em qual idéia você pretende trabalhar comece a sua pesquisa e escreva a sua proposta. Obtenha regularmente feedbacks da equipe que pretende trabalhar. Se você quiser escrever uma proposta para a sua própria idéia sugiro fortemente que entre em contato com a equipe o mais cedo possível, para ter certeza que é algo que eles têm interesse e para obter algum retorno. Se você tiver dúvidas estamos sempre no nosso canal de IRC “#kde-soc” na freenode ou junte-se a nós na lista de discussão kde-soc@kde.org. Para mais informações sobre idéias específicas tente contactar diretamente a respectiva equipe, através do seu canal específico de IRC ou lista de discussão. Para obter informações gerais sobre GSoC visite http://www.google-melange.com – prestar especial atenção ao cronograma. Se você é um mentor seus próximos passos são: 1) inscrever-se na lista de discussão kde-soc-mentor@kde.org; 2) fazer seu cadastro no site http://www.google-melange.com e solicitar sua inscrição como um mentor para o KDE; 3) contacte um dos administradores para aprovar seu pedido. Em caso de dúvidas contacte a equipe de administradores no canal “#kde-soc” ou via kde-soc-mentor-owner@kde.org. E, claro, alunos o procurarão com perguntas sobre suas propostas . Abaixo você pode encontrar um fluxograma com os passos mais importantes do programa. Verifique também o cronograma do GSoC 2011. O nosso framework Plasma nos coloca numa posição privilegiada para desenvolver interfaces inovadoras e modernas para smart-phones, sistemas embarcados em veículos, computadores desktop, computadores portáteis, media centers e muito mais. Poucos, se algum, dos nossos concorrentes têm um framework para interfaces de usuário que é tão portátil, atraente e fácil de desenvolver com o nosso. A peça fundamental do Plasma e da portabilidade das nossas aplicações é o Qt. O código desenvolvido para uma plataforma pode ser executado com mudanças mínimas (se alguma) em plataformas legadas, como o Microsoft Windows e Mac OS X e, fundamentalmente, em Linux e outras plataformas livres que variam desde dispositivos portáteis até computadores desktop mais poderosos. As recentes inovações do Qt, como o Qt Quick, fazem com que designers e desenvolvedores transformem suas idéias em aplicações e as ofereça aos usuários de uma forma muito mais fácil. O KDE está apenas começando a tirar proveito dessas novas oportunidades. Qt remains the strong, cross-platform foundation of everything we do. Combined with KDE technologies, we believe Qt is the compelling framework for cross-platform software development. There has never been a better time to shape the future of computing. Join us and make that future a future that is free.